Years ago, upgrading your car stereo meant buying a new radio that would play MP3 files or that included Bluetooth hands-free calling and audio streaming. 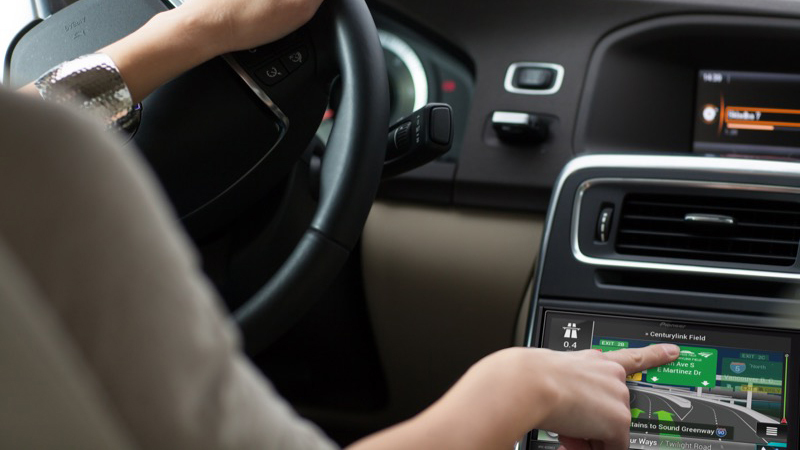 As automobile manufacturers have increased their interest in providing advanced infotainment features, the aftermarket head unit industry has evolved away from conventional single- and double-DIN radios with segmented displays to multimedia receivers with color touchscreens. In this article, we’ll look at why upgrading your older car or truck with a touchscreen radio is a great way to add convenience and functionality to your commute. Of course, the biggest benefit of having a touchscreen radio is the amount of information that can be provided. If you are playing an MP3 or WAV file, the song title, artist and album name are easily visible on the screen of the radio. If you are stopped at a red light, searching through your collection of music is quick and easy. Of course, displaying contact information for incoming phone calls is another huge benefit. A huge benefit of most touchscreen radios is that you can add a backup camera that will allow you to see what’s behind your vehicle when parking. A backup camera makes maneuvering safer and much more efficient. Parallel parking is much simpler when you know just how close you can get to the vehicle behind you or the curb. Backup cameras are available in a variety of formats to fit flush with the rear of your vehicle, mount above your license plate or replace a tailgate handle or third brake light assembly on a pickup truck or van. Your local mobile electronics retailer can help you choose a camera system that meets your needs and integrates perfectly with your vehicle. If you are like us, you enjoy fine-tuning your audio system to meet your listening preferences. Many touchscreen radios include multi-band graphic equalizers that will let you dial in the frequency response of your sound system for the music you enjoy. Some also include signal delay settings, crossovers and seating position options that allow your installer to create a realistic listening experience that mimics being at home in your living room or at the mixing console in a recording studio. Even the most basic of touchscreen radios includes support for MP3 and WMA file playback from a USB memory stick. As you step up in features and cost, support for WAV, FLAC, AAC and DSD high-resolution audio files is added. Smartphone and iPod connectivity is another common feature with these radios. You can plug in your device and charge the battery while listening to your music collection as you drive. Many units will display album art right on the touchscreen. Many touchscreen radios include auxiliary inputs that allow you to connect a portable media player, laptop computer, game system or a portable satellite radio tuner. Higher-end radios include options to control optional SiriusXM satellite radio receivers directly and let you see the song title and artist information on the screen of your radio. Thanks to the iDatalink Maestro interface, mid- to high-end receivers can connect to factory infotainment systems like Ford Sync or Chrysler’s Uconnect. If you have a factory-installed backup camera or USB port, these can often be used with a new receiver. Parking sensors and vehicle configuration options for climate controls are additional commonly supported functions. The Maestro interface also allows the factory-installed radio control switches on your steering wheel to work with your new radio. If you are looking for something a little fancier and truly beneficial, check out the options for adding Apple CarPlay and Android Auto to your car. These smartphone integration technologies make it safer and easier to make phone calls, listen to incoming text messages and dictate a response or choose the music you want to hear. You can even ask for turn-by-turn navigation directions to an address in your phone book or a business address searched on the Internet. The navigation directions consider real-time traffic flow information to create an efficient route. The biggest benefit of CarPlay and Android Auto are that you control these systems using voice commands. The Siri or Google Assistant voice recognition system on your smartphone interprets your verbal requests and sends commands to the radio for execution. You can keep your eyes on the road while communicating with friends, family and coworkers. While there are a few vehicles that are still easy to work on, integrating a new touchscreen radio into modern cars and trucks requires experience in disassembling the vehicle, knowing which wires to use and being able to program any interface modules to work with the vehicle. For most people, having an experienced electronics installation technician perform the task will not only save time but could prevent serious damage to the computers in the vehicle. When it’s time to take your mobile audio system to the next level, drop into your local mobile enhancement retailer and ask for a demonstration of the latest multimedia receivers on the market. You’ll find solutions that start around $200 up to the $1,500 range for a fully equipped source unit with smartphone integration, navigation and DVD playback.